On 8 June 793, the terrified inhabitants of the small Northumbrian island of Lindisfarne found themselves under attack. Norse longboats landed on the holy island with the intention of plundering its monastery’s riches. Treasures were stolen, religious relics destroyed and monks murdered, in a brutal and shocking start to centuries of Viking activity in Britain. Lindisfarne was not the first time Scandinavians had visited on the British Isles. While they had largely come to trade peacefully, there had been sporadic violence. In 789 three ships of Norsemen had landed on the coast of the kingdom of Wessex and murdered one of the king’s officials. 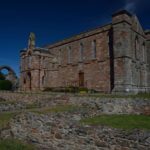 Yet the merciless raid on Lindisfarne’s monastery was different – it was an unprecedented brutal strike right at the heart of Anglo-Saxon Christianity. The shocking event spread fear and panic across Christian Europe. The scholar Alcuin argued that God, as vengeance on the immoral people of the kingdom of Northumbria, had sent the raiders. The attack was not easily forgotten. 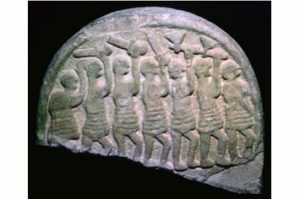 In the ninth century, Lindisfarne’s Anglo-Saxon residents memorialized the violence by carving the scenes of bloodshed onto a stone grave marker. The stone, now kept in Lindisfarne’s museum, is known as the ‘Viking Domesday Stone’.Just as Christian communities had feared, Lindisfarne heralded the beginning of further death and destruction, as Viking raids on Britain escalated over the following years. The formation of the Great Heathen Army in 865 marked a turning point in the Vikings’ relationship with Britain. Up until this point, Scandinavian expeditions to the British Isles had consisted of smaller raiding parties on ‘smash-and-grab’ missions. Their intention was to plunder the islands’ riches before returning to their homelands with the loot. The Great Heathen Army was different, however – it was a calculated invasion force. The army was a coalition consisting of soldiers from Norway and Denmark, and possibly also Sweden. According to legend, various bands of Norsemen came together under the leadership of the three sons of legendary Viking warlord Ragnar Lodbrok – Halfdan Ragnarsson, Ivar the Boneless and Ubba. The number of troops in the army is unclear – estimates range from less than 1,000 men to several thousand. As a thriving Anglo-Saxon metropolis and prosperous economic hub, York was a clear target for the Vikings. Led by Ivar the Boneless and Halfdan, Scandinavian forces attacked the town on All Saints’ Day. Launching the assault on a holy day proved an effective tactical move – most of York’s leaders were in the cathedral, leaving the town vulnerable to attack and unprepared for battle. After it was conquered, the city was renamed from the Saxon Eoforwic to Jorvik.It became the capital of Viking territory in Britain, and at its peak boasted more than 10,000 inhabitants. This was a population second only to London within Great Britain. Jorvik proved an important economic and trade center for the Vikings.Norse coinage was created at the Jorvik mint, while archaeologists have found evidence of a variety of craft workshops around the town’s central Coppergate area. These demonstrate that textile production, metalwork, carving, glasswork, and jewelry-making were all practiced in Jorvik. 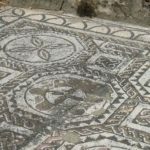 Materials from as far afield as the Arabian gulf have also been discovered, suggesting that the town was part of an international trading network. If you end up in towns, something’s almost always gone wrong.”Jorvik’s last Viking king was Eric Bloodaxe. Depicted in Norse sagas as a bloody tyrant, Bloodaxe was expelled from York in 954, after which the town returned to Anglo-Saxon rule. 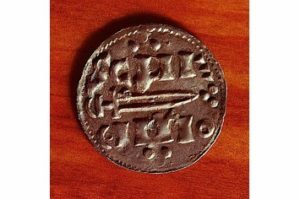 A silver penny minted in 10th-century Jorvik. The British Isles were not the only destination of seafaring Norse traders, raiders, and adventurers. Paris, Iceland, Italy and even the Iberian peninsula and Morocco were also visited by the Vikings. 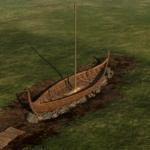 Remarkable archaeological discoveries have revealed that Norse longboats even traveled huge distances to North America, making the Vikings the first Europeans to land on the continent. In 1960, evidence of Norse settlement was uncovered at L’Anse aux Meadows, a site on the northernmost tip of the island of Newfoundland, off the east coast of Canada. 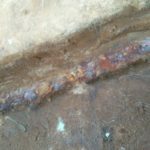 The investigation into the site began after archaeologists found a small cloak pin that appeared to be of Scandinavian origin. Further archaeological work revealed timber-framed buildings identical to ones in Viking settlements discovered in Greenland and Iceland. 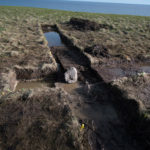 After extensive work on the sites, experts have suggested that there were, in fact, Norse settlers in Newfoundland, but they stayed close to the coast and abandoned the site just a few years after it was founded. According to Norse sagas, the first Viking explorer to reach North America was Leif Erikson, a fearless seafaring adventurer who discovered ‘Vinland’. The description of ‘Vinland’ in the sagas has been seen by some to match the site in Newfoundland. In 2015, a potential new site of Viking settlement was found at Point Rosee, on Newfoundland’s south-west coast. Identified using infrared satellite images and aerial photographs, the site contains promising evidence of iron-smelting and turf walls which match Norse construction styles. Further investigation into the site is planned for later this year. The death of Anglo-Saxon king Edward the Confessor (of the House of Wessex) in 1066 led to a power-struggle for the English crown. The Viking contender for the throne was Harald Hardrada, king of Norway. Descended from the line of the kings of Norway ousted by Cnut a generation earlier, Hardrada claimed a right to the throne based on an agreement between his father and Hardicanute, Cnut’s son and successor. After sailing up the river Ouse and seizing York, Hardrada’s forces were taken by surprise by the Anglo-Saxon troops at Stamford Bridge. Harold Godwinson’s men had traveled north with remarkable speed, meaning that the Scandinavian forces were unprepared to take them on. Not expecting Harold Godwinson to leave the south under the threat of Norman invasion, Hardrada had left both men and armor behind with his anchored fleet at Riccall. The Viking army was smashed and Hardrada killed by an arrow through the neck. It was reported that of the 300 longboats that landed in England, only 24 returned to their homeland carrying the survivors. Despite proving a failure, the Viking invasion of 1066 nonetheless had a significant impact on British history. 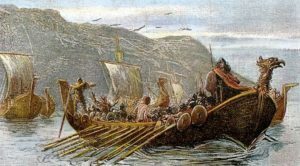 Taking on the Vikings at Stamford Bridge had weakened Harold Godwinson’s forces, making the path easier for the successful invasion of William of Normandy. 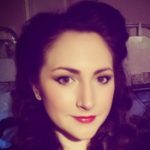 William defeated Godwinson at the battle of Hastings just three weeks later, going on to launch a conquest more successful and long lasting than any Viking invasion. Hardrada’s crushing defeat at Stamford Bridge is generally seen as the end of Viking influence in Britain. Centuries of raiding, extortion, trading, and bloodshed had finally come to a close.